Does the cost of registration include the hotel room? No. Registration costs are for the festival only. Book your room at the hotel with a special conference discount, while available. Any questions about rooms, parking, or other hotel-related issues should be directed to the front desk. Does the Prestige offer a festival room rate? Starting at $119 for standard room. Coming with a friend, family member /or? Why not buddy up and split the cost and be able to relax onsite. 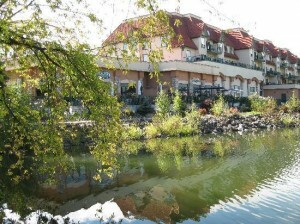 To book a room you need to phone 1- 250-833-5800 and tell them you are booking for the Word on the Lake Writers’ Festival. Does the Prestige welcome dogs? Yes it does, there may be a small fee. Your dog will be welcomed over the weekend by our CEO – Canine Executive Officer, Sugar the Westie. The festival takes place in 2 locations. Why is this? How do I get to the college location if I do not have a car? 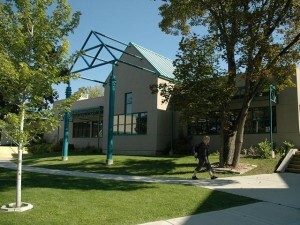 We are fortunate to have the Sunday location, Okanagan College, Salmon Arm campus, provided free of charge. Our presenters all need to be here for at least 2 nights’ accommodation, which is a major expense for us but definitely well worth it! It allows us to provide a day of workshops for you on Sunday without the expense of the hotel’s conference centre. Most of all, it allows us to keep our fees at a reasonable level. We have not raised our fees now for 4 years! We have a band of trusty volunteers who provide taxi service to the college from the hotel and back. Are the festival venues wheelchair accessible? Both locations have level parking and special parking slots. Do I need to sign up for individual workshops? No. Check the workshop descriptions & schedule and attend whatever interests you. Does the festival offer any financial assistance for those who wish to attend but may need a little help? Do we receive confirmation of our registration, and Blue Pencil appointments? You will receive confirmation by email. Your registration package will include a copy. Please remember to send your Blue Pencil sample to your presenter, ahead of time, if requested. It is a good idea to bring a spare copy of your submission with you . The Blue Pencil table can be found in the lobby close to the registration tables. Blue Pencil sessions run concurrently with the workshops, so you may come and go throughout each workshop. The presenters are aware of people having to leave during their workshops. We just ask that you are considerate and depart & return quietly. Please carefully check the registration page for cancellation cut-off dates and fees. I have food allergies. How do I let the organizers know? We inform the caterer of the types of allergies & how many people have these special needs. Please know however that the sooner we can tell them the better. We cannot guarantee meeting your needs unless we know well ahead of time or if you register on site. What is the best way to stay up-to-date with changes and new information?